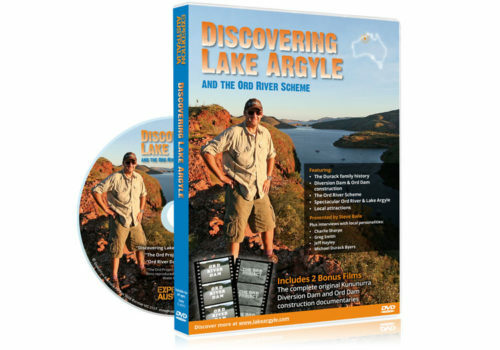 We've bundled The Big Lap DVD Series with our East Kimberley documentary DVD 'Discovering Lake Argyle', PLUS you'll also get an All Access Film Pass giving you 12 months online streaming of all of our films including our latest film series, South Australian Outback Adventure in HD for FREE. AND we'll throw in FREE DELIVERY Australia Wide! LIMITED TIME: Includes The Big Lap Series Online for FREE ($24.95 value) - Stream + Download the complete series in Full HD - Start watching today. After selling their business, their house and most of their 'stuff', Steve, Jen, Savanna & Sara leave behind friends, family and Melbourne city life to experience everything Australia has to offer in this epic 46,600km road trip around Australia. Determined to get ‘off the beaten track’ and find some real adventure, the Baile’s set themselves the goal of visiting every state and territory and reaching the extremes of the continent . . . that’s the north, south, east, west, the exact centre and even the highest point at Mt Kosciuszko. All while travelling many of Australia’s toughest roads and visiting many spectacular remote destinations. Share their adventure in this 10 episode series filmed over 2 years that will give you hours of entertainment, ideas, plenty of laughs . . . and a few tears. LIMITED TIME - Includes The Big Lap Series Online Edition for FREE ($24.95 value) so you can STREAM + DOWNLOAD the complete series in Full HD. Check your email after Checkout for access info (It may take 5 to 10 minutes for the email to arrive). 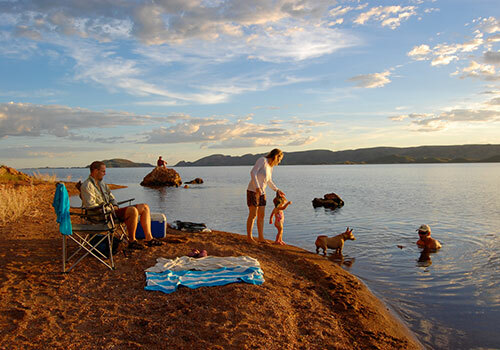 Join Steve Baile as he discovers the amazing story behind Lake Argyle, The Ord River Scheme, the pioneering Durack family and the spectacular East Kimberley region. After Checkout we'll email your login details to our Members Hub where you can Stream or Download everything. Leaving behind friends, family and Melbourne city life, the Baile family (Steve, Jen, Savanna & Sara) embark on a 46,600km road trip around Australia. The following 16 months is packed with adventure, drama and new discoveries as they chase their dream to reach all of the 'extremes' of the continent. 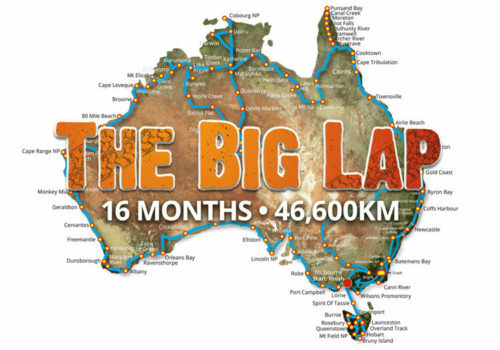 From the Snowy Mountains to the Kimberley, Cape York to Tassie and everything in between, The Big Lap Series will show you the REAL Australia like you've never seen it before. The Big Lap Series has inspired thousands of travellers from Australia and overseas to get out and discover more of this amazing country and we know that you will love it too. Featuring The Pioneering Durack family, Original archival footage from the Diversion Dam & Ord Dam construction, The Ord River Scheme, Spectacular Ord River, Lake Argyle, Kununurra and the East Kimberley. 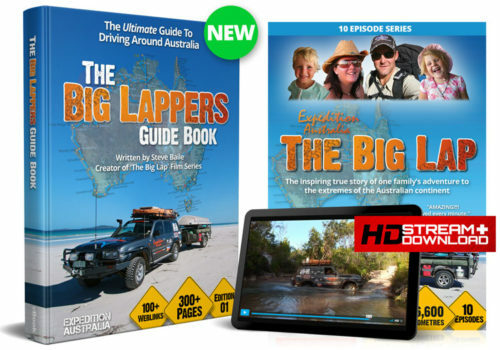 Following the success of their epic road trip around Australia and ‘The Big Lap’ film series made from it, the Baile family are back in their latest road trip adventure, this time on a mission to explore the vast South Australian Outback and cross the mighty Simpson Desert. With 20 days to cover 5,500 km, they’re leaving the camper trailer behind and travelling as light as possible with everything they need on board their 80 Series Landcruiser. Crossing the Simpson Desert is one of Australia’s iconic road trips that has to be on every serious road trippers bucket list and for the Baile’s the time has finally come. With over 1000 sand dunes to tackle, the track across the Simpson Desert is a 400 km roller coaster that will test the limits of any vehicle but reward those who take up the challenge with a genuine and unforgettable outback experience. But just getting to and from the Simpson Desert is half the adventure! 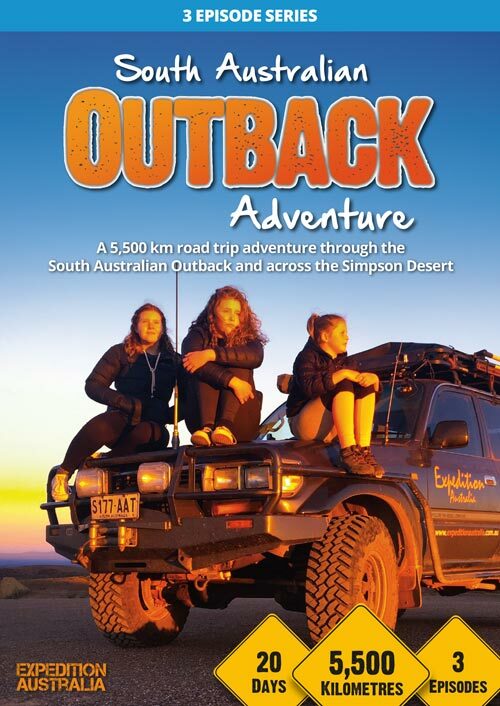 Join Steve, Savanna, Sara and Sienna on this non stop road trip adventure around outback South Australia through the spectacular Flinders Ranges, Oodnadatta Track, Coober Pedy, Dalhousie Springs, across the Simpson Desert to Birdsville then back through Innamincka and the Gammon Ranges. After you complete Checkout we'll send you an email with your login link to watch the films in our Members Hub.